This blog captures the headlines and links to events that we organised over recent weeks. Matt is a well-known figure in the Java community and has been building web applications using open source technologies for most of his adult life. He is a frequent contributor to open source and a member of the JHipster development team. During a two hour session Matt live coded a JHipster microservices application. 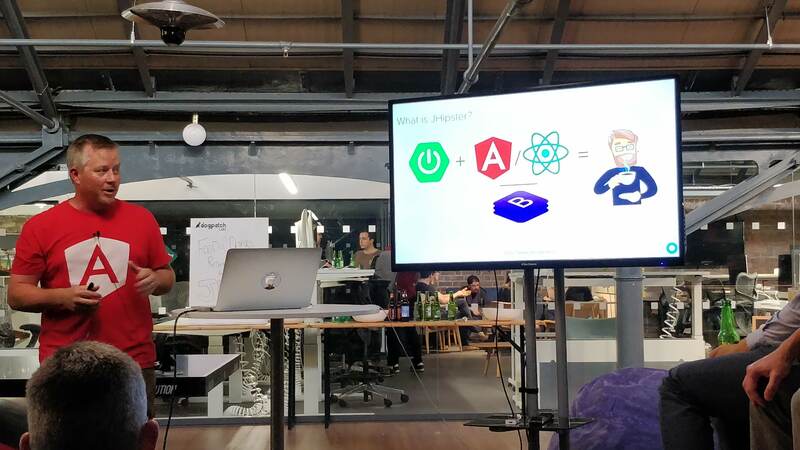 Topics ranged from frontend tech, Angular and React, through to options for securing the API gateway and individual applications with Keycloak and Okta. He also covered deployment scenarios for Heroku, Kubernetes, Docker and how Spring Cloud can help with some of the challenges of distributed microservice environments. Based on questions and feedback from the crowd the presentation and demo were very well received. Thanks to everyone who joined us on the evening – please do spread the word and keep an eye on @SonalakeHQ Twitter and JHipsterDublin on Meetup.com. On Wednesday September 12th Sonalake’s Suzana Pescador presented a webinar in collaboration with Looker, Travelport and Snowflake. Suzana discussed best practice in implementing embedded analytics solutions, sharing our experience in co-developing a data analytics platform within Travelport. Suzana described how Looker has been fully embedded within the programme, focusing on features that make life easier for teams of software engineers and data analysts. You can find more information about the project in our Travelport case study. The Ultimate Guide to Embedded Analytics from Looker on Vimeo. The QA themes included an overview of Spock – a framework for testing for Java and Groovy applications and Selenide – a library for UI testing in Java. We look forward to continuing these in the future.